S5. 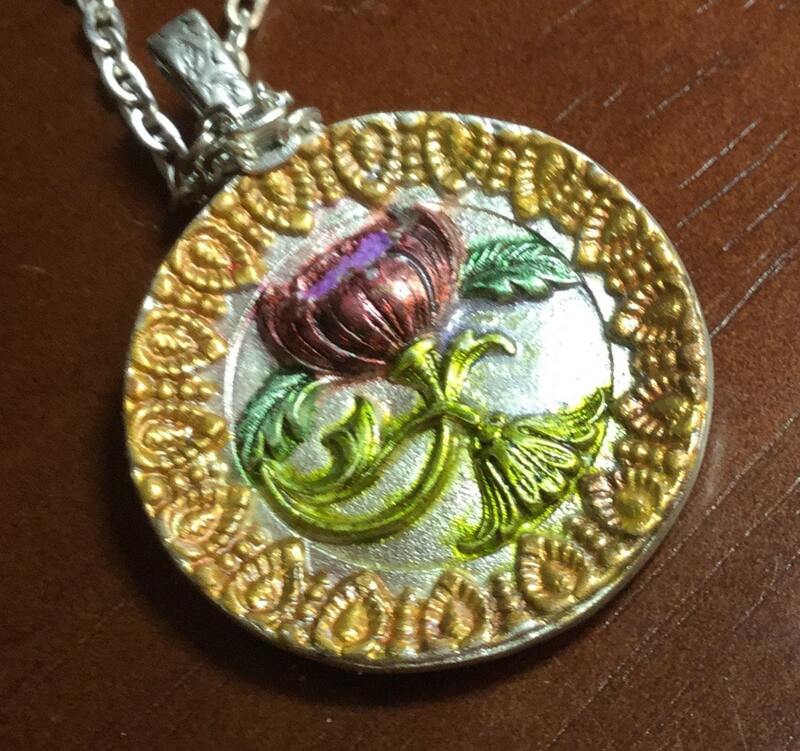 Beautiful pure silver pendant, handmade, hand painted with oxidized metal dyes, and enameling. 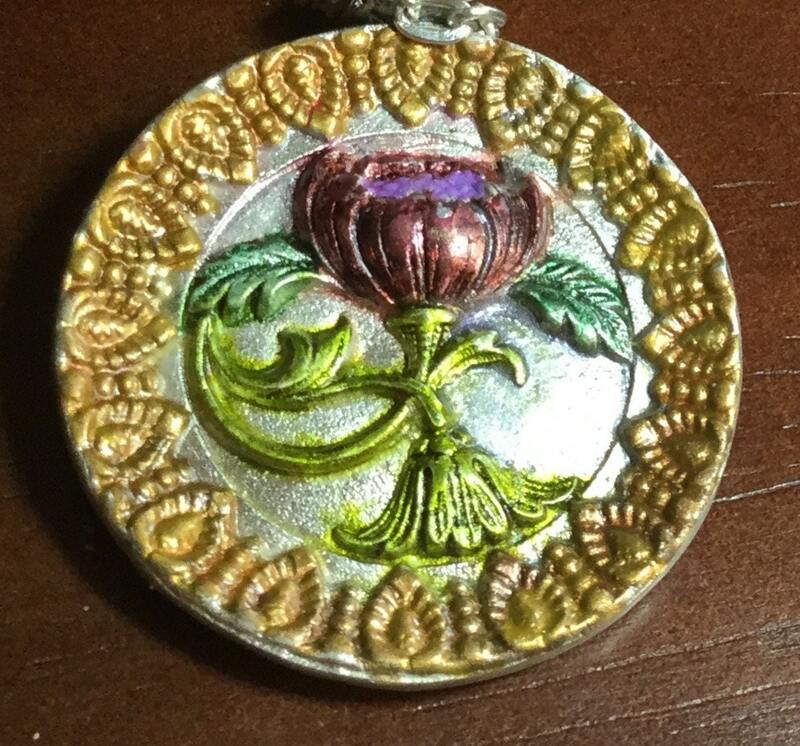 Deep burgundy lotus flower in an antiqued gold surround, lime green and grass green colors or the leaves and stems. 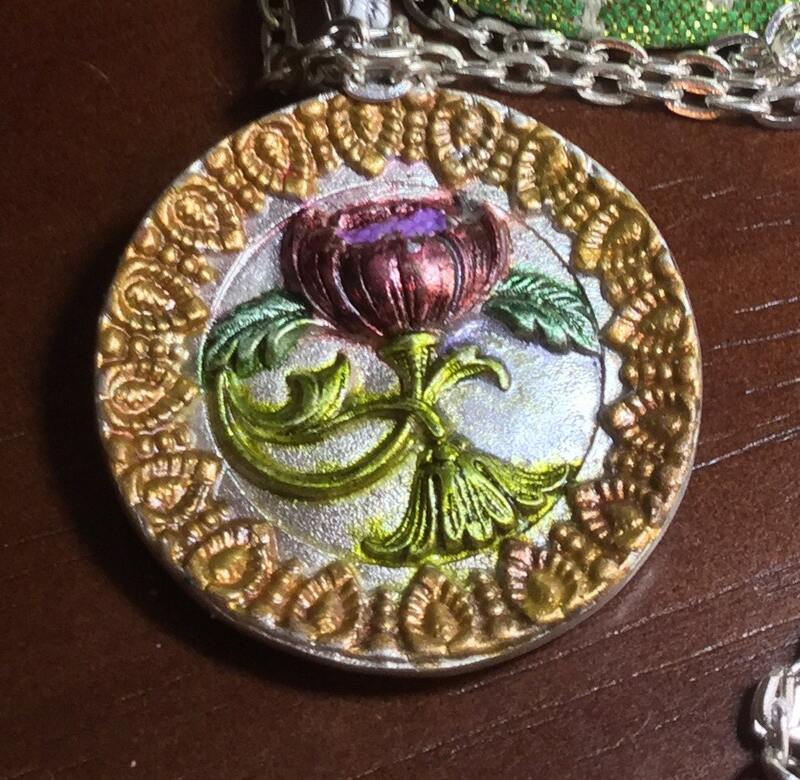 One of a kind, unique, makes a perfect gift for anyone. Pure silver is .999 silver. 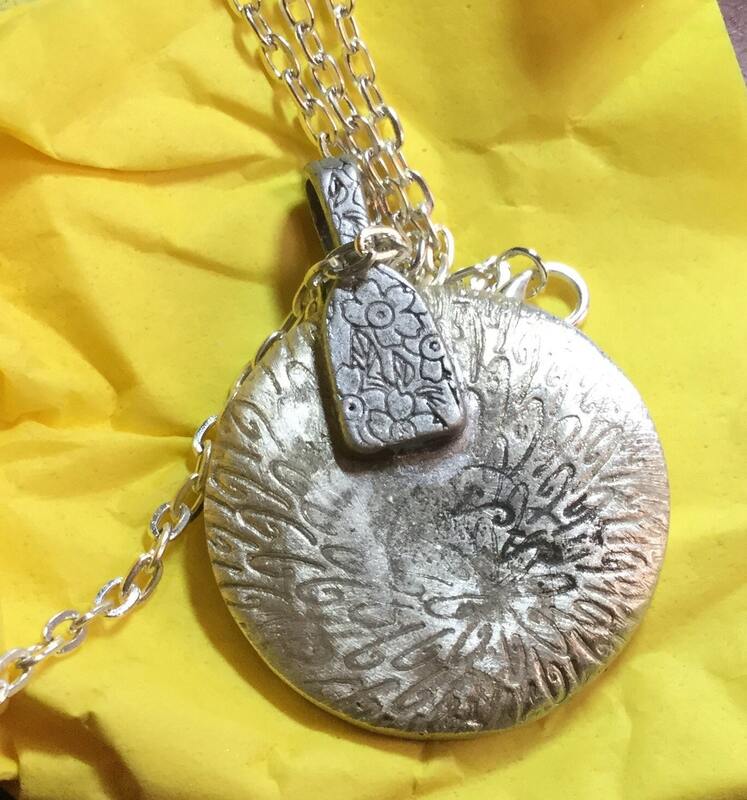 One photo shows signature stamp on the reverse side of the pendant, and the silk brocade Chinese pouch in which the necklace is packaged for you. Pure silver 1 1/4" diameter. Heavy weight silver. 22" sterling silver link chain, also artisan made but not by this artist. As with all fine jewelry, this piece should be treated delicately. 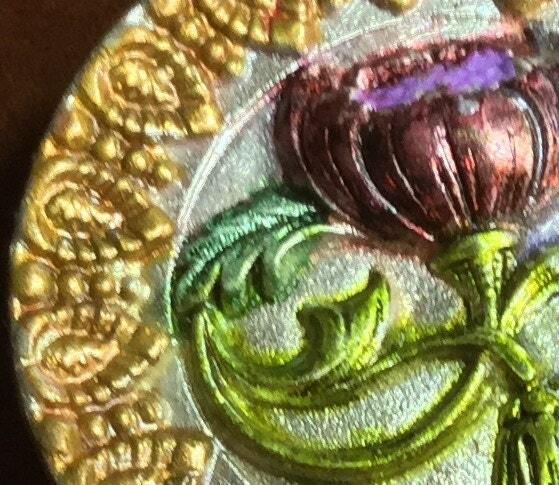 It should not tarnish as it's been coated with a sealant. However, if the piece does react to the elements, I have enclosed a small jewelry polishing cloth, free of charge, in your package, as a gift to you.